Another day, another round of golf. Such is the way of the Golf Nomad. Today, I headed up to Palmdale, CA in the high desert northeast of Los Angeles. 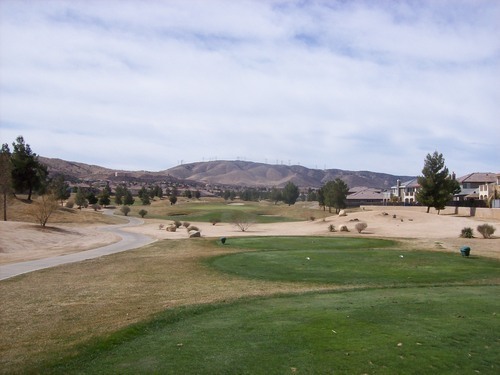 My course choice was Rancho Vista Golf Club. 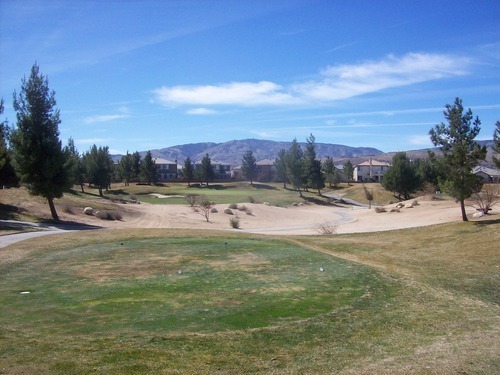 It’s a course I’ve always heard pretty good things about, with it’s only drawback being that it’s rather “out of the way” up there in Palmdale. I had purchased a voucher on GroupGolfer.com awhile ago. 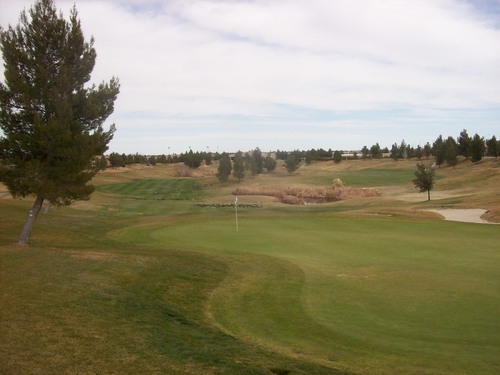 The deal was $29 for 18 holes with a cart, good any time on weekdays or after 10:00 on weekends. 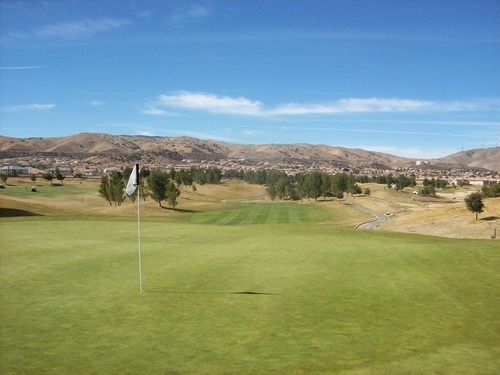 This course is generally around $50 with a cart on weekends, so it was definitely a good deal. 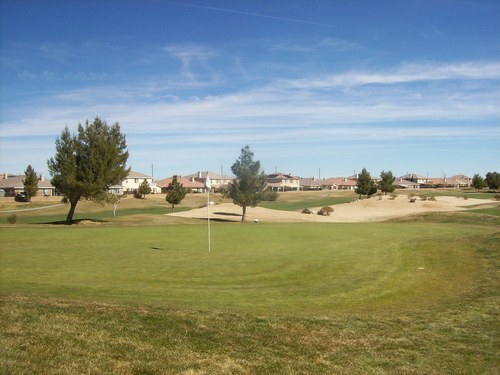 I knew the weather was supposed to be nice today and there was little wind projected in Palmdale, which is rare. 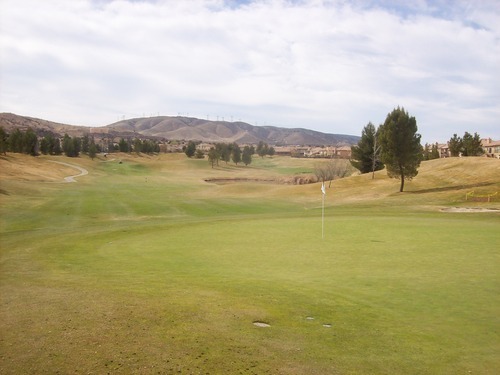 This course is known for getting quite windy. Turned out the weather was perfect—mid 70s with nothing more than a light breeze. I headed up there and checked in right at 10:00 to put my name on the waiting list. Well, I waited long enough to use the restroom quickly and hit one or two practice putts before they called me out to the first tee. I was paired with a twosome and we teed off around 10:15. 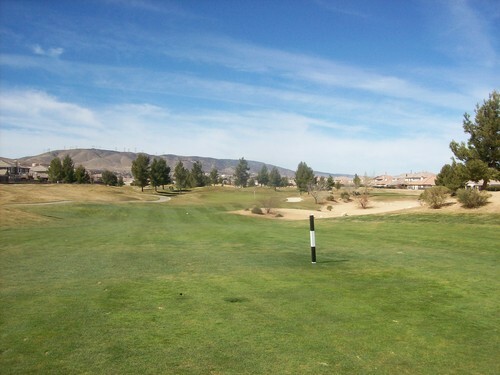 It was already a vast difference from my experience yesterday at La Mirada Golf Course! We played at a nice comfortable pace and the front nine went quickly without running into any groups in front of us. Then, things slowed significantly on the back nine once we caught up, but overall the pace was just over four hours, which was such a welcome surprise after a nearly six-hour round yesterday. 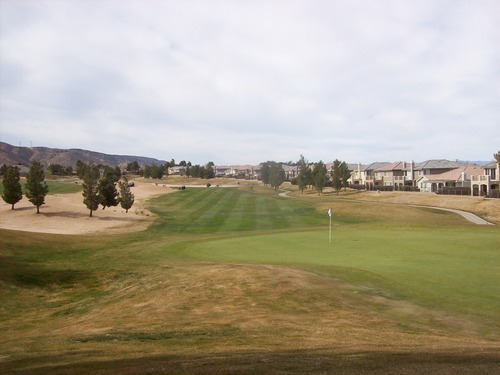 Rancho Vista stands out as an LA County course. For one, it’s not owned and operated by the County (so no fivesomes and better overall service/conditioning can be expected). 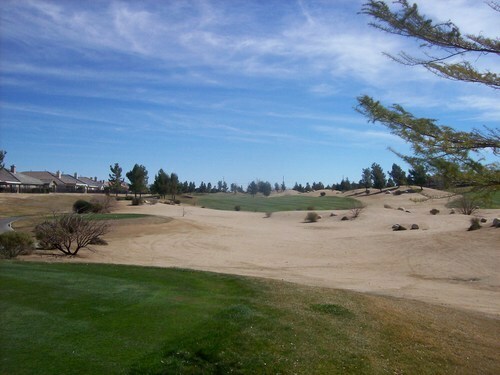 Also, it’s a truly desert style course design. 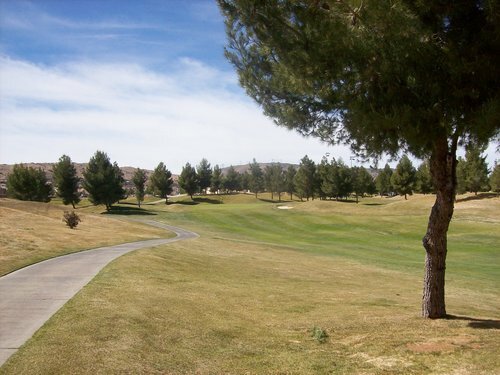 It fits with the terrain and desert landscape of Palmdale and is definitely different than anything else you’ll find in the county. It was designed by Ted Robinson. I’m not always too impressed with his courses, but this is a solid track on all levels. There aren’t any major elevation changes on the course, but there is a lot of undulation around the fairways and around the greens. 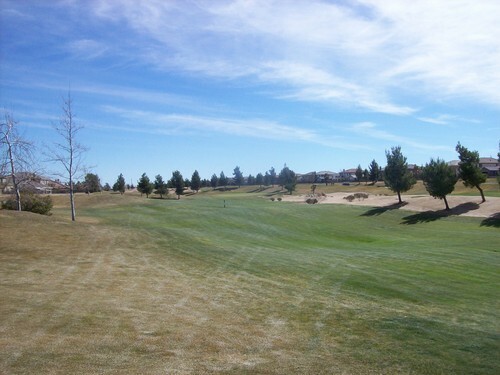 There are some desert landscape areas throughout the course to add a little atmosphere and challenge. It’s always tough trying to hit from the very coarse sand found in them. For the most part, though, the layout is relatively forgiving. 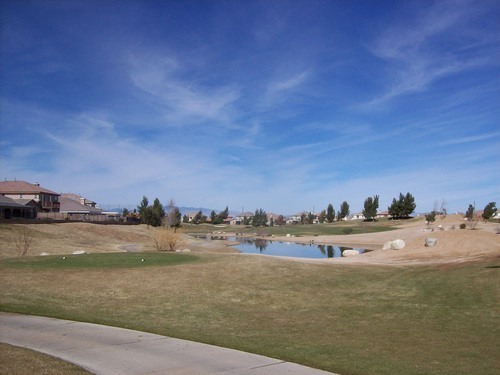 There are a few places where water hazards come into play and there are residential O.B. fences throughout, but there isn’t a ton of trouble to get into. The mounds along the fairways tend to be more helpful than harmful, meaning they generally funnel everything back toward the middle. 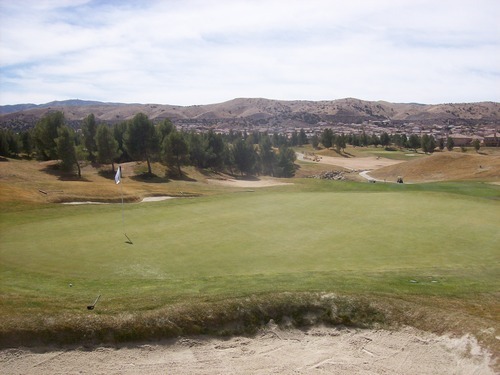 The greens here are a little tricky and offer the most challenging aspect of the course. Many are elevated and slope from back to front. The more you can stay below the hole here, the better off you will be. Today, they were very firm and relatively quick, making it hard to hold the greens on approaches. They rolled smooth on putts, though I found them hard to read. For whatever reason, our group had a ton of lip-outs, which became comical after awhile. There aren’t too many super-memorable holes here. Many tend to blend together, but there is enough variation in length, shape and nuances to keep it interesting throughout the round. 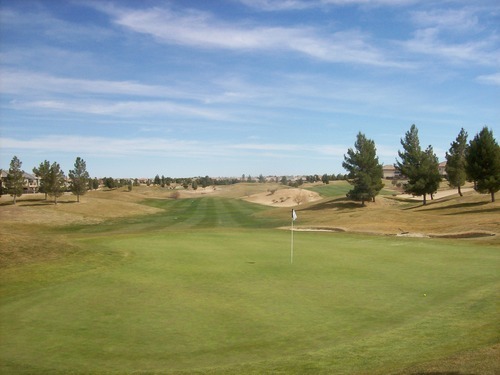 The course was in decent shape coming out of winter conditions. 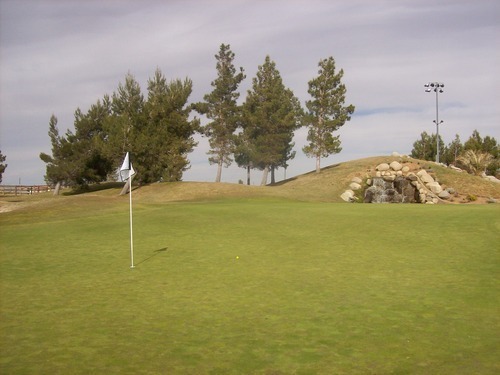 I can imagine it’s tough to keep this course up with the extreme high and low temperatures found in the high desert of Palmdale. The fairways were patchy, but mostly green. It appears the grass is really just coming in, so I can imagine it will look really nice in a few more weeks. 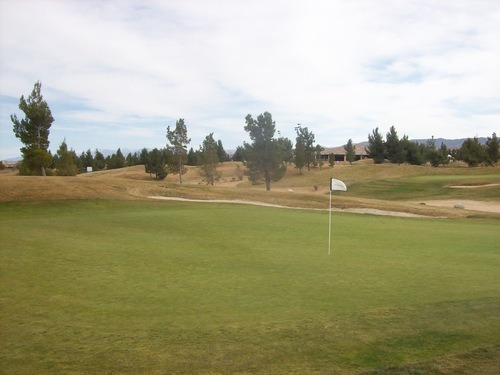 The rough was completely dormant/brown and just shaved down to nothing in most places. The bunkers were full of great soft sand. By all accounts, today was not the ideal representation condition-wise, but not bad for this time of year. I look forward to playing here again someday soon when it’s in peak condition. Overall, I would definitely recommend this course for the price and uniqueness compared to many LA County courses. It is out of the way, but I’d rather drive a little further for some fresh air and a more enjoyable pace of play (especially on a weekend). 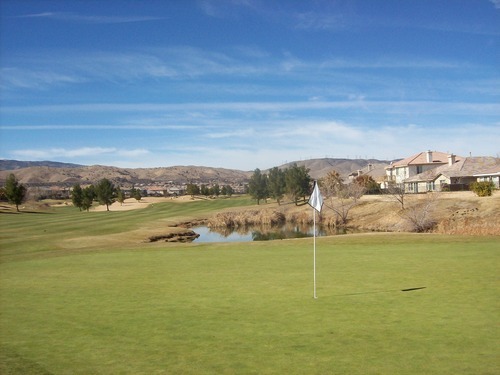 As a desert style course, Rancho Vista stands out in the county where it resides. 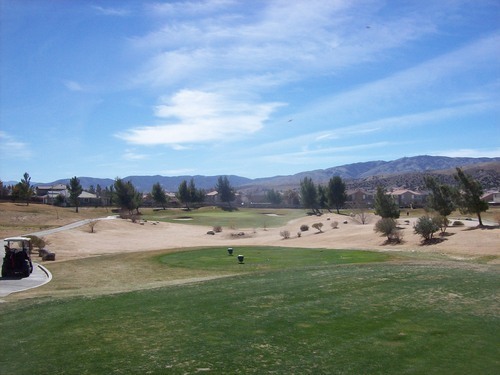 It does not, however, measure up to what you might expect to find in the Coachella Valley area in terms of conditioning, service, layout or scenery. Of course, it’s much cheaper than most of those courses, too. If this course were in Palm Springs, it would be a run-of-the-mill option. But in LA County, it is kind of a breath of fresh air. 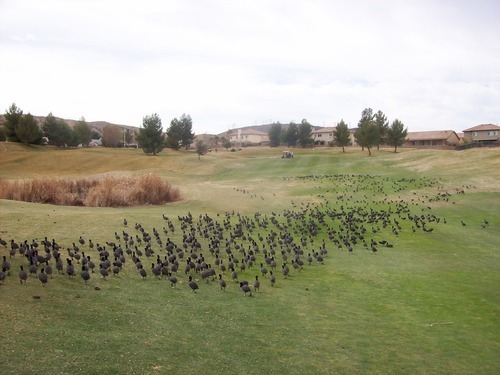 Coot invasion on the 17th fairway!!! Antelope Valley, CA, California, Desert Golf, Golf, Golf Course Architecture, Golf Course Photography, Golf Course Photos, Golf Course Reviews, Golf Courses, High Desert, High Desert Golf, LA County, Lancaster, Los Angeles County, Los Angeles County Golf Courses, Palmdale, Rancho Vista Golf Club, SoCal, Southern California, Ted Robinson Sr.